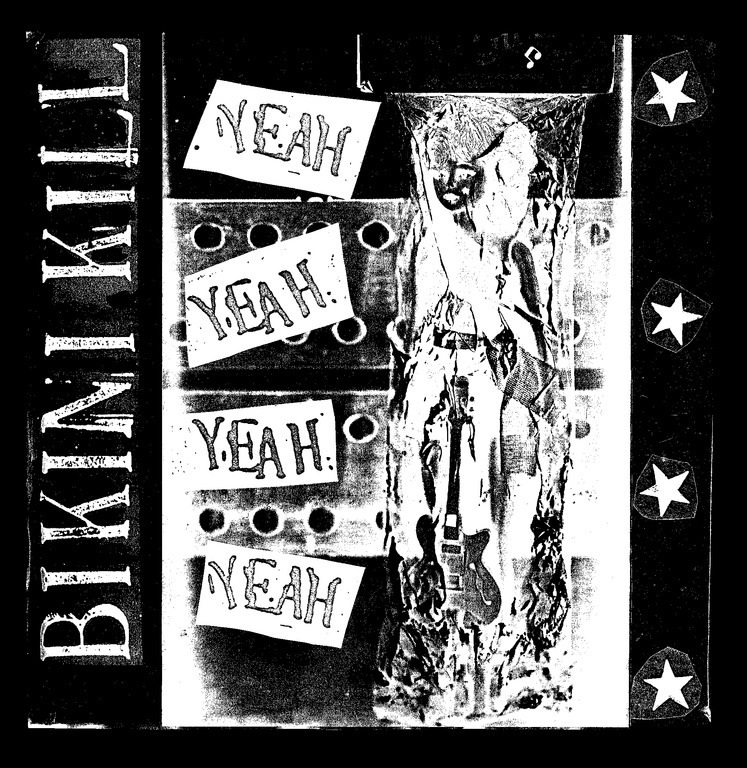 This is a reissue of Bikini Kill’s second EP, Yeah Yeah Yeah Yeah. Yeah Yeah Yeah Yeah was recorded in 1992 with Tim Green (Nation of Ulysses) at The Embassy ‒ a group-house in Washington, D.C. ‒ and was the first Bikini Kill release to feature the band’s song, “Rebel Girl.” Originally a split EP with the Brighton, UK-based band, Huggy Bear, the b-side now features seven previously unreleased Bikini Kill songs drawn from era-appropriate live shows and practice tapes. The artwork has also been updated to include archival photos and liner notes from the Bratmobile’s Erin Smith, Comet Gain’s David Feck, and the members of Bikini Kill. Includes a complimentary Mp3 download code.